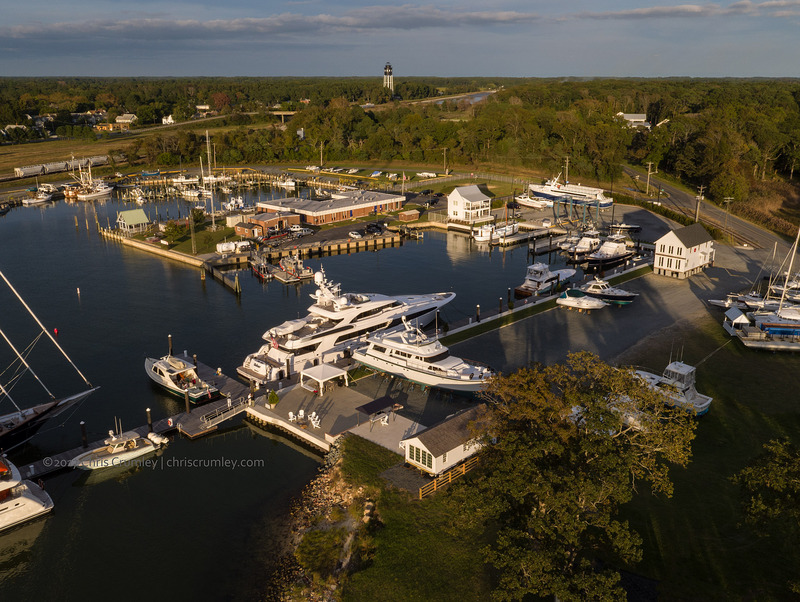 Cape Charles Yacht Center on Virginia's Eastern Shore. Captured the CCYC in late afternoon light for trade show displays, editorial and other uses. This yacht center is attracting numbers of magnificent 100'+ yachts on their way to and from exotic destinations. Cape Charles near "downtown" and Eastern Shore Railroad cars in the left side background.